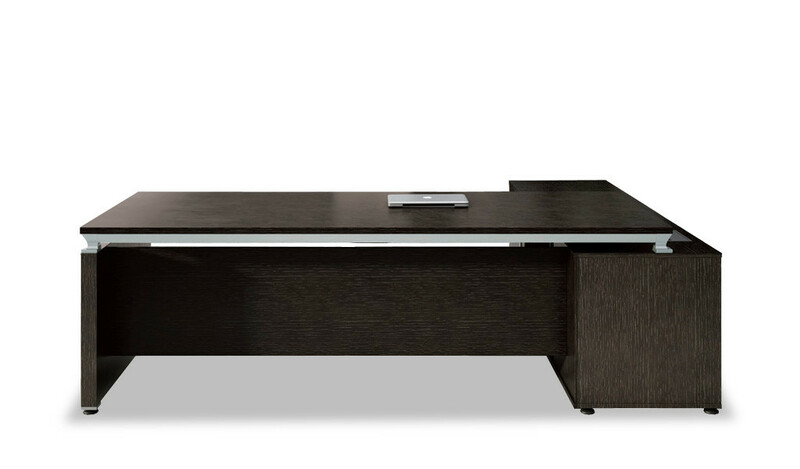 A large, 8 feet width executive desk in a premium veneer and lacquer finish. Designed with elaborate wire management provision it includes a multi-functional, motorized wirebox with ports for power, data, VGA and voice connectivity. 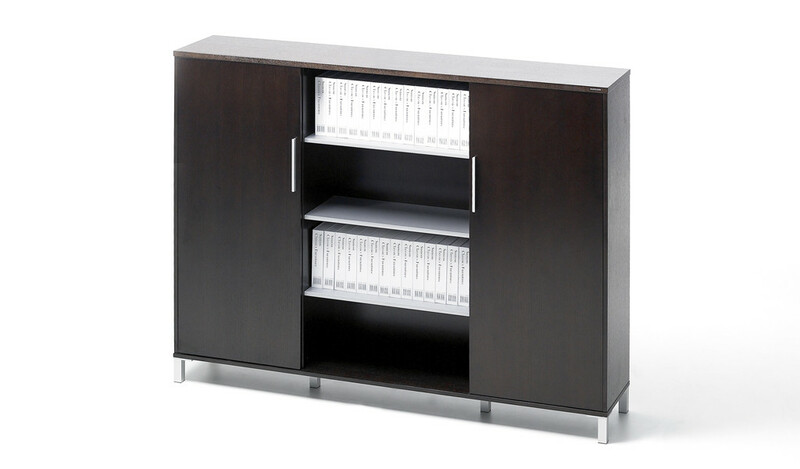 Impeccably finished in rich and textured natural wood veneer with an aluminum frame. A perfect choice for contemporary office cabins. 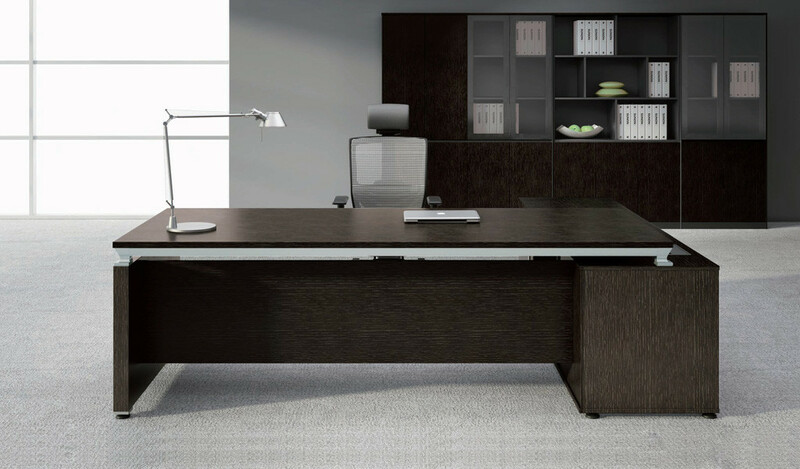 – This executive desk looks best in its original dark oak veneer as seen in the picture. 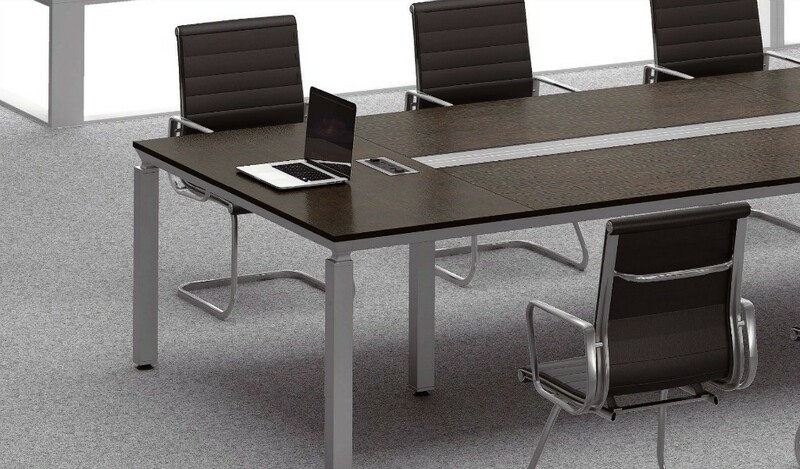 – A premium, 8 feet desk finished in dark oak veneer suitable for large office cabins of 150 sft and above. 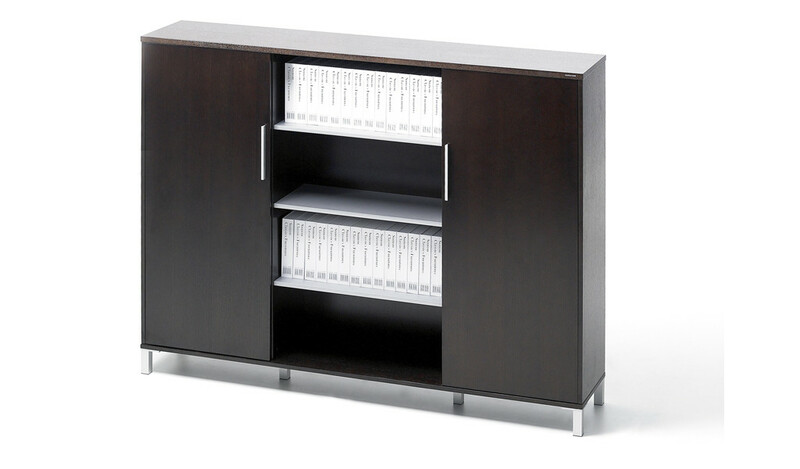 – Main office desk, side credenza, mobile pedestal and one automated wirebox for cable management. 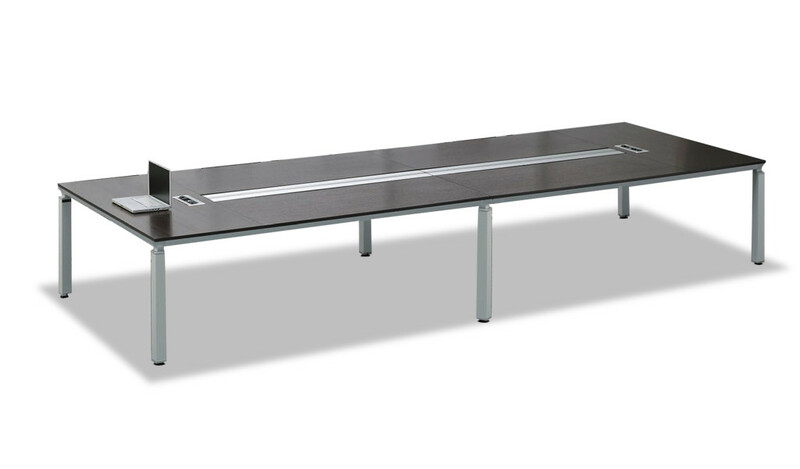 – Made using environment grade engineered wood and veneer. The E1 grade composite wood is a highly durable material and a world standard for premium furniture while the textured wenge wood veneer is from our carefully selected range of premium natural wood veneers with consistent color and grain structure. 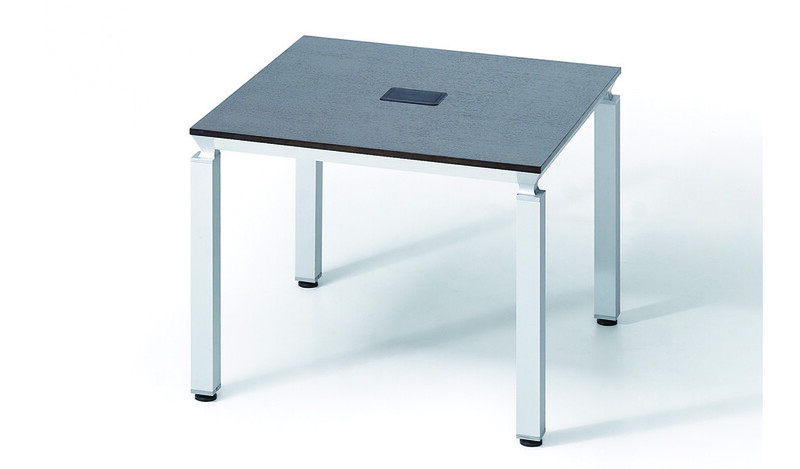 – A premium & contemporary office desk in open grain dark oak veneer and lacquer. It includes an elaborate wire management system with a motorized wirebox that opens and closes at the flick of a button. Designed by a Red-Dot award winning team of German architects this modern executive desk is crafted with the highest quality E1 grade MDF and oak wood veneer for lasting durability, natural feel and luxurious looks. 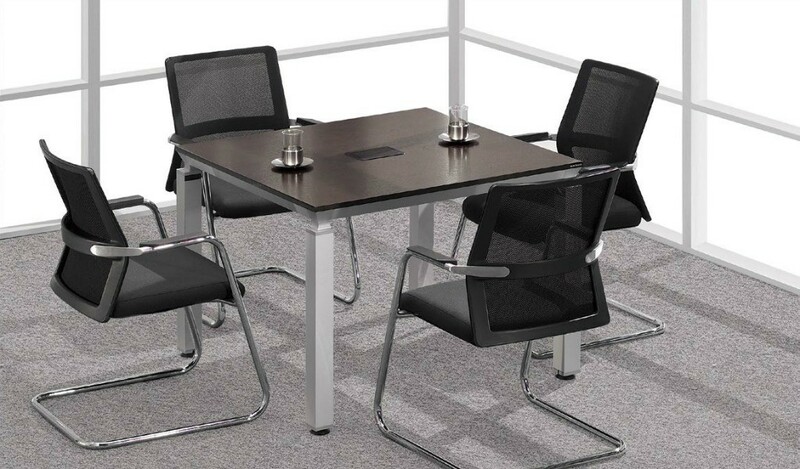 It is part of the Eazy series from which you can choose an entire range of matching cabinets, smaller tables, conference tables etc to create a complete office. Click here to see and download the Eazy series catalog.